Used For: The herb is known to treat constipation, induce urination, treat bacterial and fungal infections, and relieve coughs. Genkwa is known to reduce dampness through urinary and intestinal system, as well as to treat cough. It is applied as a topical remedy for bacterial infections, like scabies, and ringworm. 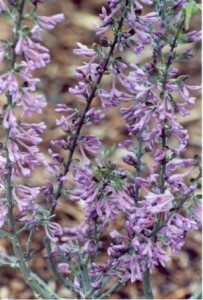 It is also successfully used for recurrent bronchitis. However, it is still not suggested for internal use due to its poisonous origin and toxic content. Use an alternative for the above mentioned cases. Preparation and Intake: The common dose is from 1.5 to 3 grams in form of powder. To eliminate toxic substances the plant is fried with vinegar. Safety: Warning! The herb is poisonous. Exercise care when using it. Due to its potential unsafety for the body, find an alternative for the cases in which it’s applied. Pregnant women and those with feeble constitution should not use the herb.